It's moved to Vogel State Park, in the shadows of Blood Mountain. The new home of the old PA Ruck is in Northern Virginia, so now it's known as the NO Ruck, for Northern. Start your northbound AT thru-hike by checking into the lodge for a few days and talking with trail experts & icons, attending great seminars / workshops with renowned trail figures - and checking out new gear! Amicalola Falls State Park, the entry point to the Appalachian Trail via the state park in Northern Georgia. The Hot Springs Community Trailfest is smaller than Trail Days but in a way a lot more homier. If you want to enjoy Hot Springs like you never were able to while thru-hiking, check out this festival. The Appalachian Trail Hall of Fame will induct its newest class of honorees on Friday night at the US Army Heritage and Education Center, Carlisle, Pa. It is always the weekend AFTER Mother's Day, although there are usually some events held during the week leading up to the actual weekend. Visit the website at for details. There will be a host of activities all around the nation to celebrate National Trails Day, always the first Saturday in June. More information can be found on the American Hiking Society's website. The Appalachian Trail Museum will hold several programs to commemorate National Trails Day. Visit the A.T. Museum website for information as the date gets closer. Dahlonega Trail Fest is a festival of outdoor enthusiasts revolving around all aspects of non-motorized recreation: hiking, backpacking, canoeing, kayaking, horseback riding, mountain biking, orienteering, and more!. This small but cozy festival taps into the early colors of northern Maine with Mount Katahdin as a backdrop. ALDHA West, a separate organization out West with similar interests as ALDHA, has more information on its website. The 2019 Gathering will be at Williams College, Williamstown, Mass.. Visit the Gathering page to follow through on developments. 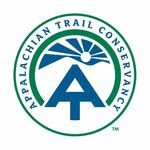 The Appalachian Trail Conservancy, established in 1925, is a national not-for-profit corporation that is both a confederation of the 31 local organizations with assignments to maintain the Appalachian Trail and a membership organization with support from all 50 states and more than 15 other countries. Under agreements that date to the 1930s, buttressed by federal legislation in 1968 and 1978, ATC leads a cooperative-management system for the Trail that equals the National Park Service and USDS Forest Service at national, regional, and district levels, a variety of agencies in 14 states, a few other federal agencies, and even some county and town agencies. That “management” charge for more than 250,000 acres of public lands extends far beyond enhancing the user’s experience and keeping the footpath open and facilities safe — to safeguarding the boundaries and monitoring the health of hundreds of rare, threatened, and endangered species between the Trail and the corridor’s edge. The ATC's mission is to preserve and manage the Appalachian Trail – ensuring that its vast natural beauty and priceless cultural heritage can be shared and enjoyed today, tomorrow, and for centuries to come. Its vision is to connect the human spirit with nature – preserving the delicate majesty of the Trail as a haven for all to enjoy. The ATC is committed to nurture and protect this sacred space through education and inspiration. It strives to create an ever-expanding community of doers and dreamers, and works to ensure that tomorrow’s generations will experience the same mesmerizing beauty we behold today. The Appalachian Trail Museum Society serves the Appalachian Trail community by telling the stories of the founding, construction, preservation, maintenance, protection, and enjoyment of the Trail since its creation. The Museum will collect, preserve, and interpret materials relevant to these subjects in an effort to portray not only the history of the Trail, but also the essence of the physical, intellectual, emotional, and spiritual human experience of the Appalachian environment and the culture of hiking. From humble beginnings this trail club has grown to global proportions, literally. The trail that continues north from Mount Katahdin in Maine into Eastern Canada now stretches through Europe by hopscotching over Iceland, Ireland, Great Britain and beyond. It will ultimately find its terminus in the Atlas Mountains of Morocco, in northern Africa. 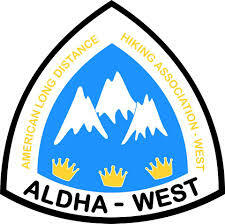 A similar organization to ALDHA, the American Long Distance Hiking Association, or ALDHA West, has details on its annual Gathering. 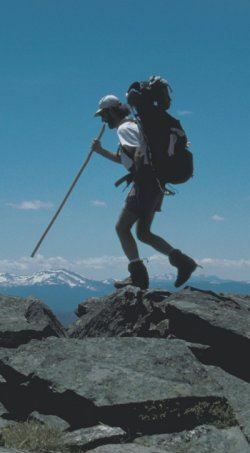 The legacy of the late backpacking balladeer, "Walkin' Jim" Stoltz, continues on the home page he set up following the success of his six-month, 2,750-mile trek on the Pacific Crest Trail in 1996. Walkin' Jim's timeless music is available here. Sadly, he passed away in September 2010, way before his time. 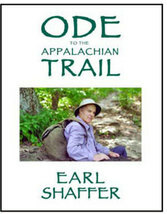 The organization that was created in the wake of Earl Shaffer's death has a number of projects under way, all of which will benefit the preservation of Earl's legacy as the first man to thru-hike the Appalachian Trail. The Katahdin Art Project is a collaboration between the Earl Shaffer Foundation and Crest Photography. 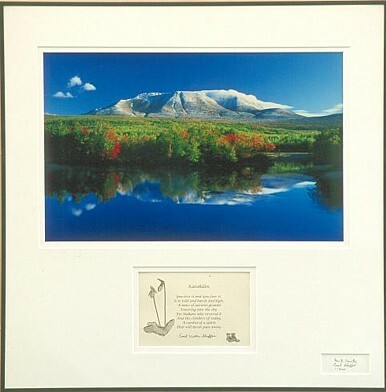 It combines Earl Shaffer's poetry and Bart Smith's photography to create a tribute to Mount Katahdin. All proceeds minus costs of $150 per unit will be donated to the Earl Shaffer Foundation. It was Earl's decision to direct a portion of his foundation funds to the creation of an Appalachian Trail Museum as well as the trail clubs along the A.T.
Friends of Baxter State Park is an independent citizen group with a mission to preserve, support, and enhance the wilderness character of Baxter State Park. followed by the nonprofit trail organization. The newest kid on the block, the Southern Appalachian Work Center coordinates with local clubs and ALDHA on various projects. 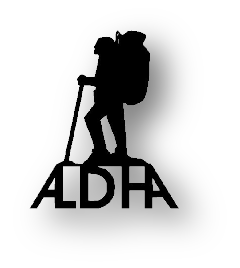 Log onto this Web site for the latest news of the Alabama Hiking Trail Society. The Georgia club's Web site, with maps of the Georgia section of the Appalachian Trail. The Nantahala club maintains about 60 miles of the Appalachian Trail in Nantahala National Forest, N.C.
Members maintain the A.T. through Great Smoky Mountains National Park in North Carloina and Tennessee. The CMC covers the stretch of the A.T. from Davenport Gap north to Spivey Gap, Tenn. The Tennessee Eastman Hiking and Canoeing Club maintains 127 miles on the Appalachian Trail. The group maintains from Damascus, Va., to Va. Route 670, just north of Trimpi shelter. Piedmont Appalachian Trail Hikers, or PATH, is based in North Carolina and maintains a stretch of trail in Virginia. Club members in Blacksburg, Va., maintain about 30 miles from Garden Mountain to Lickskillet Hollow. This club oversees the A.T. from Lickskillet Hollow to Blackhorse Gap, about 131 miles. The group that maintains 88 miles of the A.T. around Peaks of Otter is now on the Internet. The Tidewater Appalachian Trail Club has jumped into Web waters with its own page. This group maintains from Reeds Gap to Rockfish Gap in Virginia, a run of about 17 miles. PATC's home page is quite the audio-visual wonder. You can also read their newsletter. Members maintain the stretch from Pine Grove Furnace State Park, Pa., to the Susquehanna River. The KTA in Pennsylvania is the umbrella organization that covers a number of different hiking clubs. One of the newest clubs, this group oversees the Cumberland Valley and what is left of the old road walk. 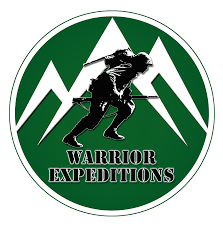 This Philadelphia-based group maintains 8.6 miles from Fox Gap at Pa. 191 to Wind Gap, Pa.
From Tri-County Corner to Bake Oven Knob, this club maintains about 12 miles of trail. They do maintain a good chunk of trail from Rausch Creek to Lehigh Furnace in Pennsylvania. This group covers the ridgeline from Lehigh Furnace Gap to Little Gap, about 10.2 miles. Hiking, camping, skiing, snowshoeing and other activities of this active chapter. This club maintains a short stretch from Pa. Route 443 south to the Susquehanna River. Members maintain the A.T. from Fox Gap to Delaware Water Gap, a distance of about 7 miles. Now based in New Jersey, this club maintains the A.T. through two states, from the Delaware River to the Connecticut border. The Connecticut chapter of the Appalachian Mountain Club, which goes from New York to Sages Ravine. The Western Massachusetts branch of the AMC maintains the A.T. through the Bay State. Based in Vermont, the GMC maintains the fabled Long Trail, including the 100 or so miles that carry the A.T. This legendary group of students, alumni and area residents maintain unique shelters and privies along 76 miles of trail. AMC maintains a wide variety of hiking trails through its various chapters, including in the Whites, Delaware Valley, Mass., Conn. and Maine. This club promotes the enjoyment of the Randolph, N.H., area and is the newest addition to the ATC's trail maintaining clubs. The club has posted its official home page, complete with photos, updates, and other news.